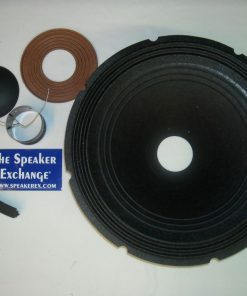 Cone 12″ accordion edge, 2.375″ deep, 2.5.00″ voice coil opening. 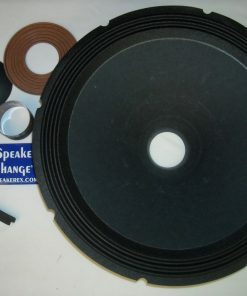 Voice Coil with 2.580″ inside diameter, 1.875″ vc form length, 1.000″ windings width, 8 ohms. Pigtails, shims, and instructions are included. Specific parts and specs are subject to change but replacement parts will be matched as closely as possible. After a few modifications the product worked well. 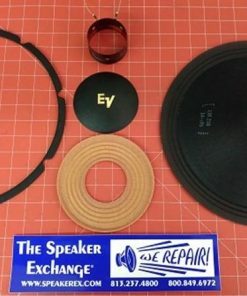 Brought new life to the speaker….Very happy with this kit.. I would give it 4stars out of 5..
Great news. Glad you were able to make this work for you. 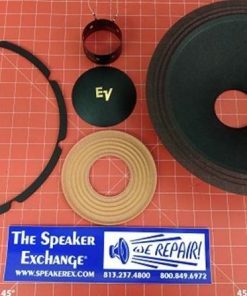 Many of the speakers that require metric measured parts do require adjustments. Modification is the key. 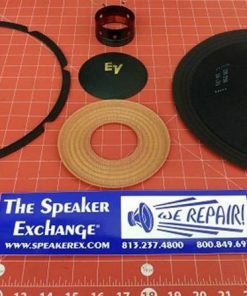 A Yes that is the correct recone kit for you. I updated our listing to include the cabinet model number. Thank you for pointing that out to me.